Serving Innovative Executives, Game Changers and Future Thought Leaders. When negotiating the daily stress of multiple business and personal responsibilities, sometimes entrepreneurs and senior managers find it difficult to think outside the box for solutions and motivation. We understand, that’s why we have a passion for producing and offering Consulting Gold Nation (CGN) as a free service. Tim Templeton hosts the weekly CGN video podcast that features 5 star interviews with leading authors, thought leaders, game changers and best in class service providers. Tune in and listen or watch this weekly show that offers 30 minute insights of how leading authors, thought leaders and game changers are impacting others. You will be taken aback with their candor and the applicable information they share. 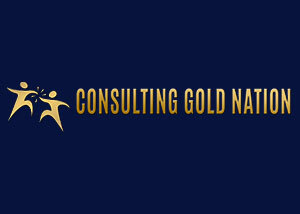 To listen a podcast or bookmark the Consulting Gold Nation podcast, click here. We have over 20 years of experience in each of the areas that we offer products, services or guidance. Consulting Gold has assembled and manages a virtual team of leading professionals assigned to each of its projects. © 2015 Consulting Gold Companies Inc.